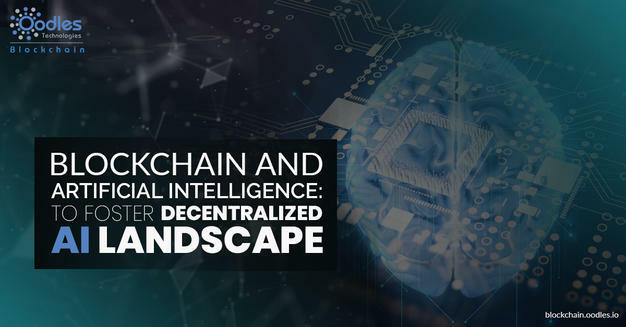 Looking at the current technology trends on the internet, we can say that the two most talked technologies are blockchain and artificial intelligence (AI). After Bitcoin and cryptocurrency, most major companies are looking to make use of blockchain technology and artificial intelligence AI to impact our daily lives. Understanding the Importance of Bringing Blockchain and Artificial Intelligence Together For an Improved AI Landscape. To develop an AI model, you need to have a lot of data. As such, prominent IT companies rule the artificial intelligence sphere. They are never short of computing resources and data pools, both are necessary to train AI algorithms. For sure centralized AI calls into question a few of our perspectives about AI. For instance, generally, we think that AI has access to so much data that it becomes inevitable to stay an unbiased source of truth. However, numerous studies and researches have shown that AIs are the biases of the scientists who outlines their algorithms. Centralized data system, secret AI algorithms, and every industry AI expert working for prominent organizations is a matter of concern. We need to work towards succeeding AI revolution, but not at the expense of fairness, truth, and security. Thus, decentralization for AI revolutions is a must. In order to democratize access to AI, we need to decentralize data and lower computing costs for training algorithms. For that, we think blockchain technology the most suitable alternative that can help on both counts. Decentralizing and commoditizing data means users will be getting paid for the data they share. Or they can choose not to share data. Also, another added advantage of decentralized data is that it can create a marketplace for data. Once we have commoditized data, the value shifts away from owners of big data sets to experts who build good algorithms. With AI accessible to everyone, anyone could learn how to write good AI algorithms. Alike, the early days of internet companies and computer programming, a budding entrepreneur in Ai could be anyone once we’ve successfully decentralized data. Using blockchain and artificial intelligence together could also lower the cost of training AI algorithms. Cryptocurrency miners possess enormous computing power. A decentralized network of miners can help to teach intelligence networks for a fraction of the cost of developing and executing dedicated algorithm training servers. As it will become cost-effective to train algorithms, we’ll be seeing more entities experimenting and developing new applications by using Blockchain and AI. For blockchain enthusiasts, the ultimate link between blockchain and artificial intelligence is artificially intelligent DAOs (Decentralized Autonomous Organizations). These are autonomous entities managed by artificial intelligence. In a DAO, the AI would be able to have access to resources and the ability to gain more resources over time. A fully autonomous organization would restrict humans to take control and shut it down once executed on the blockchain. Moreover, the AI could be outlined to prioritize other tangible assets besides money. One idea is to bring blockchain and artificial intelligence for AI DAO that can buy forest land over the time to safeguard wildlife and provide protection against deforestation.